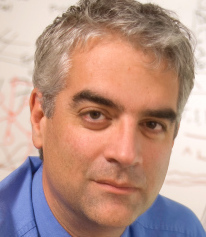 Nicholas A. Christakis, MD, PhD, MPH, is a sociologist and physician who conducts research in the area of biosocial science, investigating the biological predicates and consequences of social phenomena. He directs the Human Nature Lab at Yale University, where he is appointed as the Sol Goldman Family Professor of Social and Natural Science, and he is the Co-Director of the Yale Institute for Network Science. Dr. Christakis’ lab is focused on the relationship between social networks and well-being. This research engages two types of phenomena: the social, mathematical, and biological rules governing how social networks form (“connection”), and the biological and social implications of how they operate to influence thoughts, feelings, and behaviors (“contagion”). Ongoing investigations in the lab explore the genetic bases for human social behaviors and the application of social network principles to change population-level behavior related to health, cooperation, and economic development. Along with long-time collaborator, James Fowler, Dr. Christakis has authored a general-audience book on social networks: Connected: The Surprising Power of Our Social Networks and How They Shape Our Lives, which has been translated into nearly twenty foreign languages.